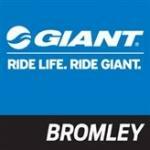 Giant Store Bromley offers a huge choice of Giant and Liv bikes, cycling gear and accessories from leading brands. We also service and repair all makes and models of bicycle in our modern workshop – not just Giant and Liv bikes and offer PowerFit in store. Cycling runs through our DNA and we’re dedicated to helping you enjoy biking as much as we do, through making the right bicycle and cycling gear choices, through our in store services and by offering you our knowledge and tips.